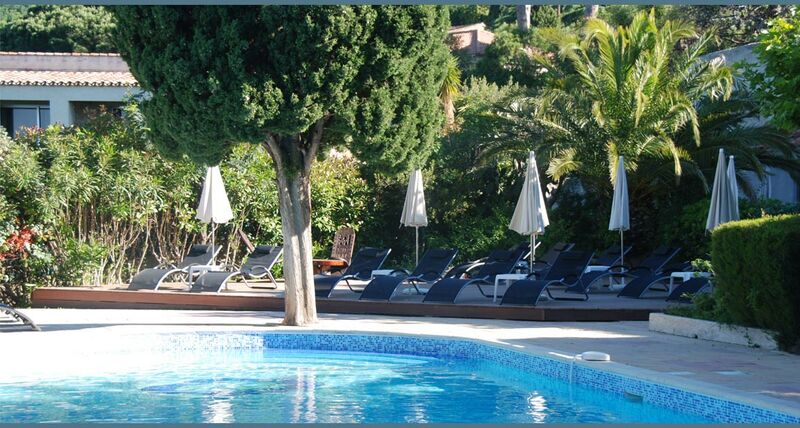 In the hotel 83 in Lavandou, everything is imagined for your comfort, your relaxation and the pleasure of your senses . With a panoramic view on the bay of Golden islands, the hotel offers a direct access to the first fine sand beach. 30 air conditionned rooms with private bathroom, Terrace and sea view . Rooms equipped with TV Hd, minibar, direct phone line and individual safe. Breakfast at the top and perfect welcome! The staff were attentive and super attentive and helpful. The pool area and access to the beach is really a luxury. We were delighted with this 1st experience. Spacious room, clean, very comfortable beds, helpful staff, good breakfast with a delicious Viennese pastries. Hotel ideally placed at the top of a corniche overlooking the sea! Home charming and attentive! The room is very clean and spacious with a terrace with a beautiful view of the sea!